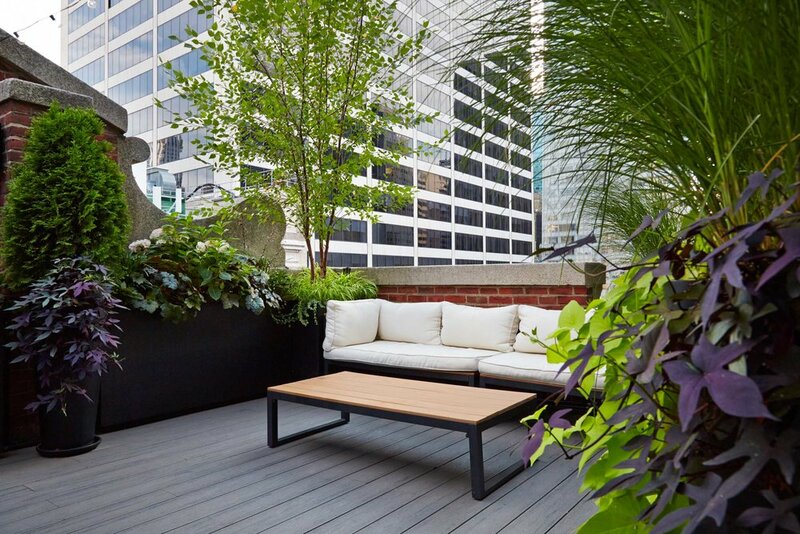 Wanting to create an oasis in the city, our clients needed this garden to be lush and vibrant for their high-rise office space in Midtown, Manhattan. The garden needed to function as an area where clients and employees could hold meetings, have lunch, host after work functions or just take a relaxing break during work. The evergreen shrubs and grasses give those working inside their privacy while the tall trees provide shade for the terrace that is in full sun most of the day. We used a mix of drought-tolerant plants as well as annuals to create a look that is full and at the same time low maintenance.